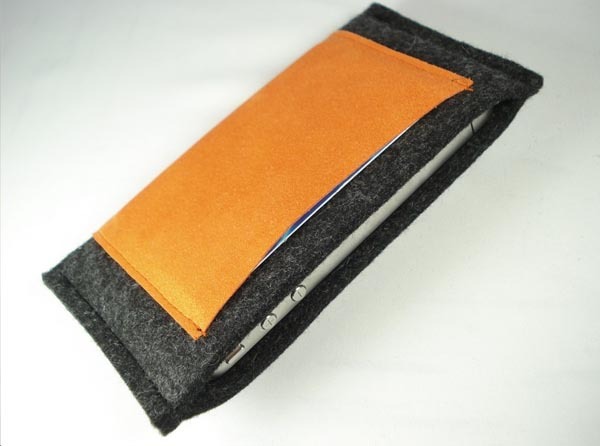 The handmade iPhone 4 sleeve is designed and created by CaseClosedUK, a British company dedicated to tech accessories. The creator utilized 3mm thick natural German wool felt to make the iPhone 4 sleeve. 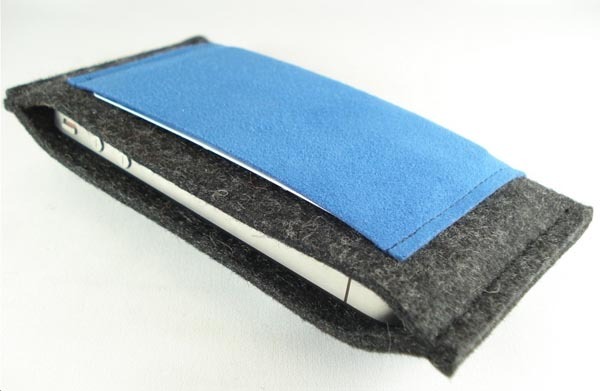 And the soft iPhone 4 sleeve comes with a slim Ultrasuede pocket for cash and cards. 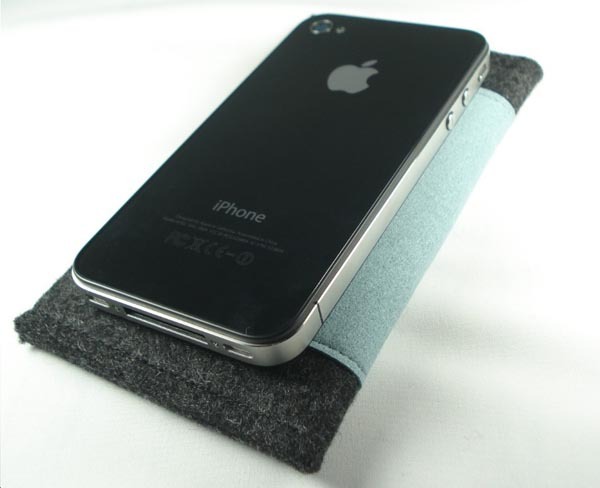 The elegant iPhone 4 sleeve is available in four types according to different colorful pockets. Each one is priced at $26 USD. If you’re interested, jump to Etsy for more details. Update: the handmade sleeve is unavailable now. if you like this tyle, you may like to check the new alternative. 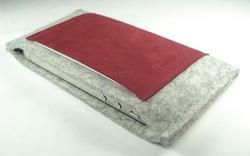 By the way, don’t forget to check Vaja leather iPhone 4 cases, Vapor metal iPhone 4 case, and etc. Ich freue mich auch schon sehr auf mein iPhone4.